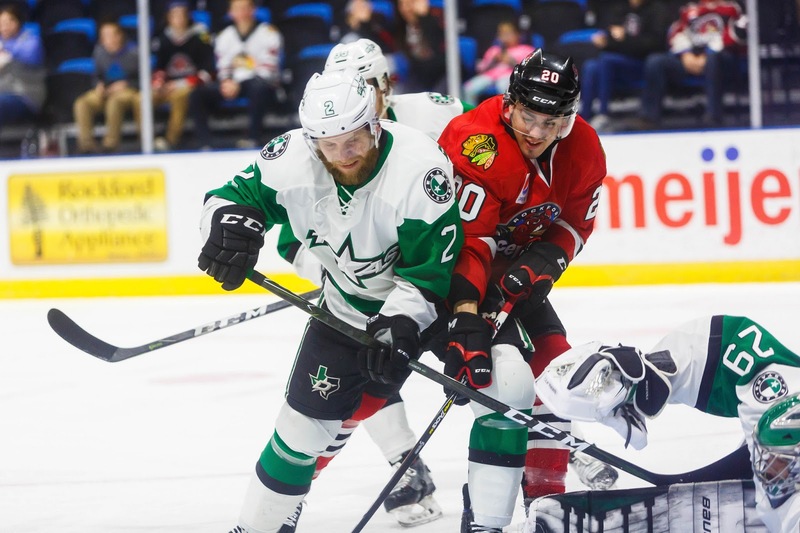 As first reported by 100 Degree Hockey on Saturday, the Texas Stars have officially welcomed defenseman John Nyberg to the team. The 2014 sixth-round pick practiced with the club this weekend and will travel to Tucson tomorrow. Defenseman John Nyberg is the newest face at #txstars practice today. Texas will start with the D group they won with in Ontario, but Nyberg will travel and could play if they are looking for a change. 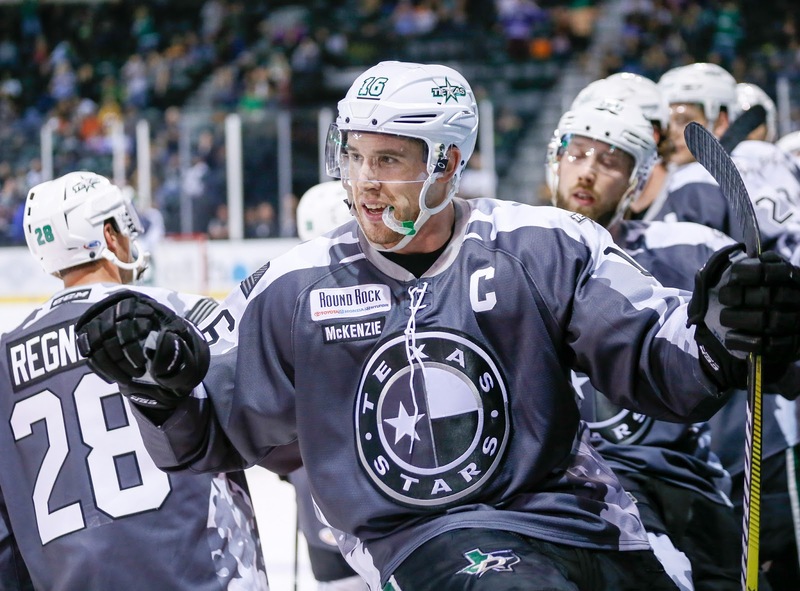 The Texas Stars, American Hockey League affiliate of the NHL’s Dallas Stars, announced Monday the team has added rookie defenseman John Nyberg on an amateur tryout agreement for the remainder of the postseason. Nyberg, 21, has been competing in Sweden for the previous four seasons. The 6-foot-3, 190-pound native of Lundy, Sweden has appeared in 101 games over the past two years for Frolunda, tallying 28 points (9-19=28). Nyberg (NIGH-behrg) signed a three-year, entry-level agreement with the Dallas Stars on May 8, 2017. He was selected in the sixth round by Dallas (165th overall) in the 2014 NHL Entry Draft. 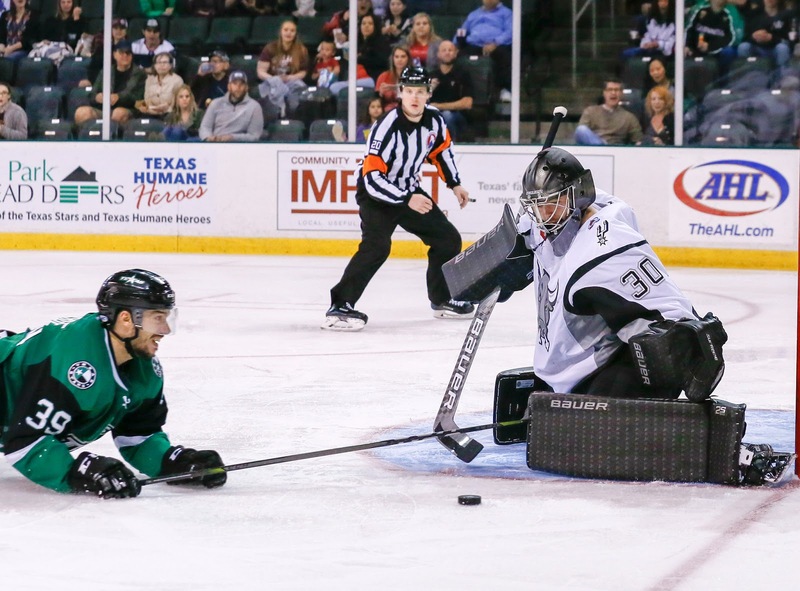 With Tucson's 3-0 shutout of the San Jose Barracuda last night, the Texas Stars know their opponent for the second round. The Roadrunners, farm team for the Coyotes, are a tough draw. Texas beat Tucson once in the regular season, but it was their most recent matchup in the season series. Tucson won the division and the conference race handily, racking up 42 wins in a 68 game season. "We’re the underdogs," said Texas head coach Derek Laxdal after practice this afternoon. "They have a lot of offensive, they skate well and they are creative in the offensive zone. They have the lowest goals against, and they defend really well." 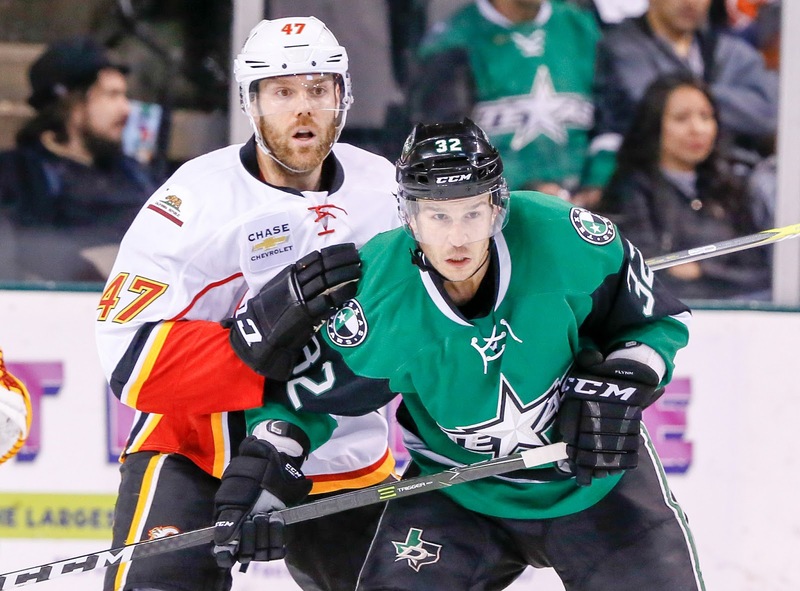 The Stars have had a few days to rest and recover from their grueling four games in six days with Ontario. Laxdal noted it was nearly five games in six days with the double OT in Game 3. Reflecting on the first series, Mike McKenna called out the adversity that was overcome. "We learned adversity more so than we even saw in the regular season. [In playoffs] the stakes are higher and teams are all on top of their games. Ontario's a very good hockey club so coming out of the games there, we should be proud of ourselves." In the win, Coach Laxdal earned his first AHL playoff series victory in four years, something he reflected on today as well, "Coming form the [Western Hockey League] and we went to the finals three years in a row and taking four years to get the first playoff series win here, it just shows you how hard it is to win at the pro level." Some other newcomers to the second round include some of the top players from Round 1 for Texas. Denis Gurianov scored the game winner in Game 4 and Roope Hintz set up more than a few crucial goals. 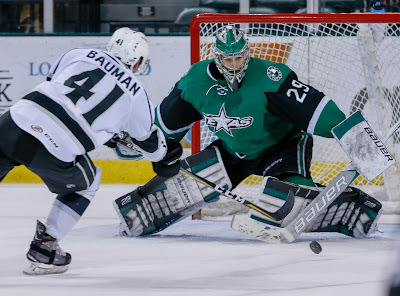 Positive praise was also heaped on Gavin Bayreuther, "I thought Gavin really took a step in his play dealing with a heavy forecheck, cutbacks and moving pucks." Coach Laxdal used the word resilient to describe his team heading into round two. McKenna agreed but added 'determined'. "We have a lot of guys on this club, like almost every team, out to prove something at this level. Whether you’re 20 or 35 years old, there’s always something to prove. There’s always the next level, and there’s always the carrot at the end. We all want to win a Calder Cup so bad that determination is a big factor for us." Texas had a new face in practice: defenseman John Nyberg. 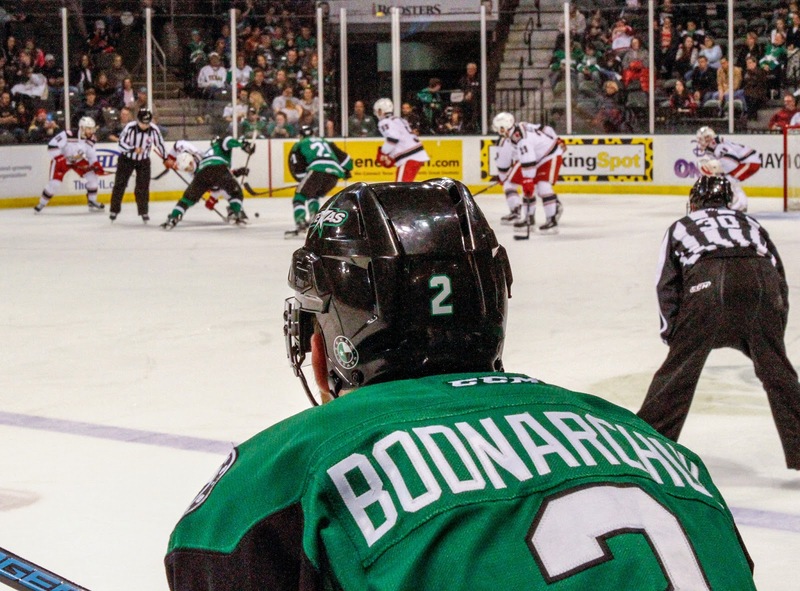 The 2014 sixth-round draft pick of the Dallas Stars finished his season with Frolunda and has joined the Stars for the playoff run. He signed an ELC last season, so it's not an ATO. Coach Laxdal indicated Nyberg would travel with the team to Tucson. Texas will start with the same six they played with in Ontario but could slot in Nyberg if they need a change. Lots of young kids were out at practice today. The Stars were at the Pond Hockey Club due to Disney on Ice at the H-E-B Center. Many signatures, pictures and fistbumps were given out by the Stars to their young fans. 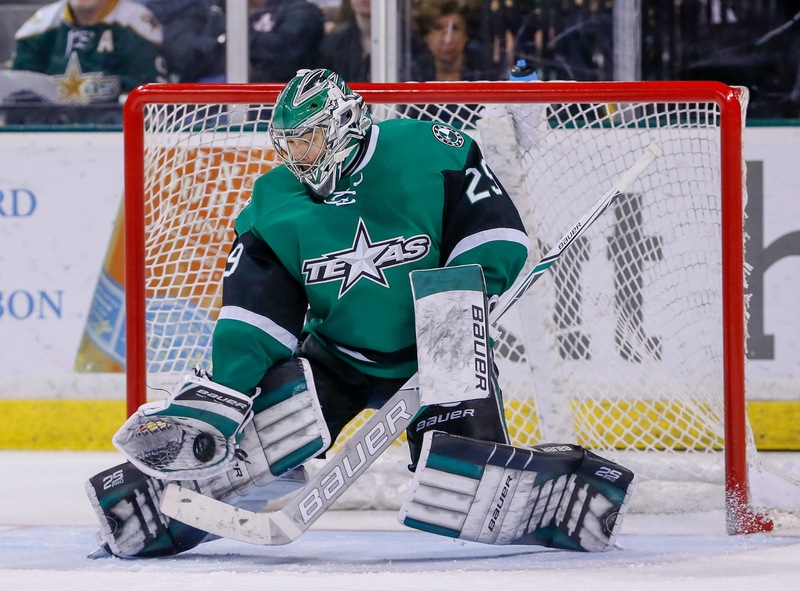 First star of the Texas/Ontario series is unquestionably Mike McKenna. Even with Game 2's four-goal night, McKenna finished first round with a 1.68 GAA and .957 SV%. Only Ontario's Cal Petersen has played more minutes in the playoffs league wide than McKenna. The Stars will face either Tucson or San Jose in the second round. That series is tied at one with Tucson stealing a game on the road in San Jose. Game 3 will be played tonight in Tucson. The earliest the series could be decided is Friday's Game 4. Game 5 comes Saturday if everything is knotted after four. In the meantime, Texas is on a plane today to come back to Cedar Park. The team will have at least four days of rest, possible significantly more, before their next series begins. Both potential series would be 2-3-2, but Texas would have home ice against San Jose. Texas has released preliminary home dates for each of the potential opponents to season ticket holders but will not confirm anything to the media. Home dates were previously posted in this space but Texas Stars media relations asked for them to be removed, and we are respecting that request. If you would like to know more about home dates for Round 2, reach out to a season ticket holder who can share that information with you. We have been prevented from doing so. 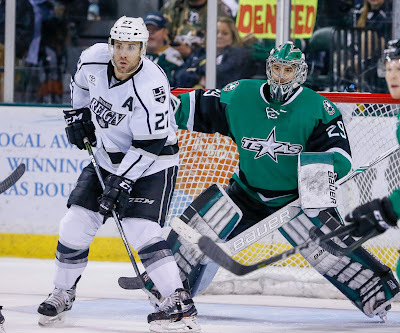 For the first time since the 2014 Calder Cup run, The Texas Stars advanced to the second round of the AHL playoffs on Tuesday night, beating the Ontario Reign 1-0 in regulation and ending the series in four games. 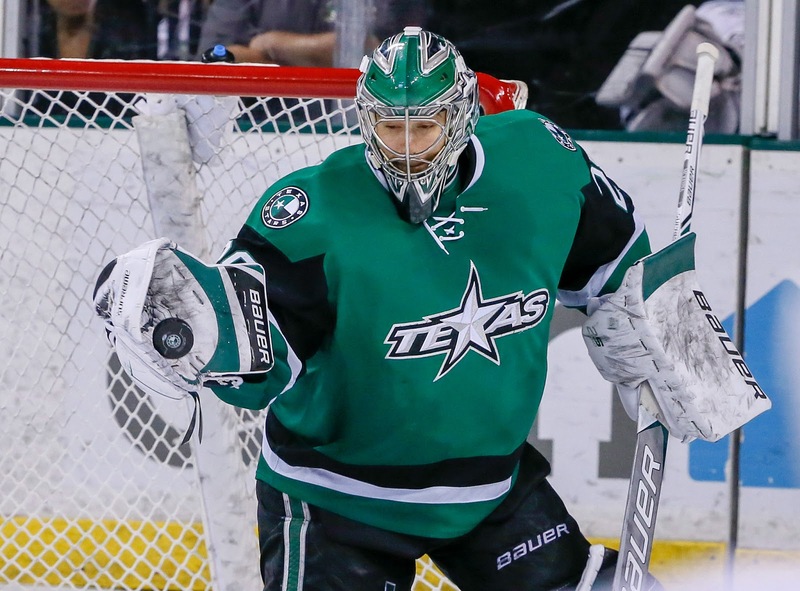 Veteran goaltender Mike McKenna reached deep into his tool belt and gave the Stars everything he had with a sensational 47 save performance. That runs his streak to 91 straight saves over two games. His less than stellar game two is now a distant memory. Denis Gurianov scored the lone goal of the contest, notching his second tally of the playoffs in the third period. As was the case all night, McKenna was a rock in net for the first two periods with the Reign outshooting the Stars 25-19. Cal Petersen was equally impressive to keep the game at a scoreless tie through forty minutes of play. Both goaltenders broke up a couple of odd-man rushes with timely poke checks and sound positioning. Remi Elie had a great chance on a breakaway five minutes into the second period, but shot wide. It was a common refrain from the Stars when they had their chances. Both teams created their fair share of offense on the rush but couldn't crack either goaltender. Reign defenseman Oscar Fantenberg, who recorded five shots on goal in the game, finally drew enough post-whistle ire from the Stars for Curtis McKenzie to react, causing an end of period fracas heading into the second intermission. There were two instances of 4-on-4 play in the second and third periods, but the extra open ice didn't yield a goal for either team. Around the twelve minute marker in the third period, the Stars finally cashed in on a counter attack with Gurianov's goal. Roope Hintz got the initial shot on the rush with the young Russian cleaning up the rebound to break the scoreless tie. Jason Dickinson, still recovering from an injury suffered earlier in the series, set up the play and notched the secondary assist. A few shifts later, Sheldon Dries nearly picked up a critical insurance goal, ringing a hard shot of the post. From there, the Stars withstood an onslaught of pucks on net, and McKenna did his best work. Winger Jonny Brodzinski was stymied on two glorious chances late in the game, the second coming during 6-on-5 play when the Reign went with an empty net. After the Reign desperately tried to create several stoppages of play and goaded the Stars into a series of icings, McKenna's back got some needed relief from carrying the team all night as the game ended. The Stars will have plenty of time to purchase McKenna his drink of choice, or several, as they wait to see the result of the series between the Tucson Roadrunners and San Jose Barracuda, currently tied 1-1. 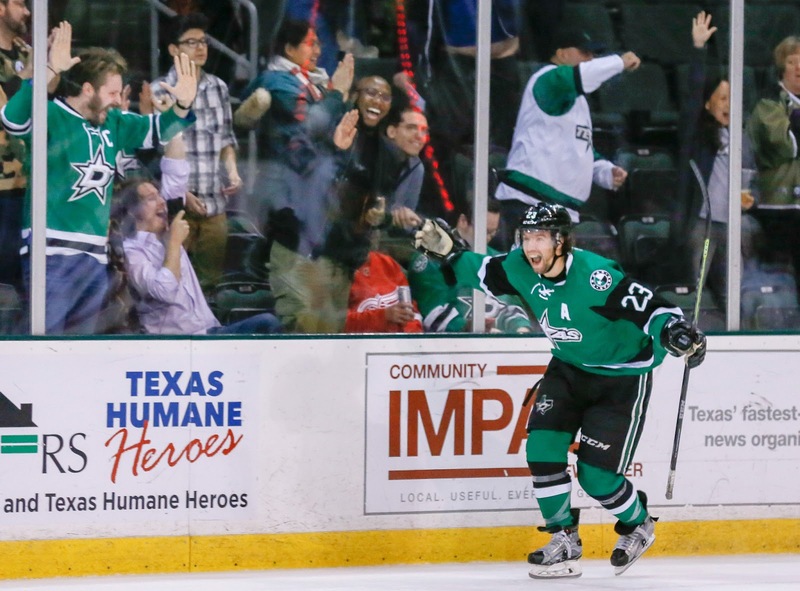 On Tuesday night, the Texas Stars have a chance to win their first playoff series since the 2014 Calder Cup run. Don't expect the Ontario Reign to go quietly. The Stars have had to log each of their wins in the best-of-five series during extended play, the most recent coming in double overtime on Sunday. Samuel Laberge was the unlikely hero, scoring the game winner, but Mike McKenna was beastly. Stopping all 44 shots he faced in relief of the struggling Landon Bow, McKenna recaptured the poise and consistency he displayed in game one. Expect Coach Laxdal to opt for the sure thing in net. As opposed to the game two fiasco that had the Stars chasing the entire game, Texas was able to come back from a two goal deficit on Sunday with balanced scoring throughout the lineup. As team leader Brian Flynn noted, multiple lines chipping in will be critical for continued success. Travis Morin, who isn't taking anything for granted towards the end of his career, notched his second goal of the playoffs in game three. Another positive sign was the two point game from Justin Dowling (1 G, 1 A), who had a rough start to the series. On the other side of the ledger, Reign center Mike Amadio also got going with a three point game, bringing his series total to four. Jason Dickinson, still recovering from a lower body injury, did play in Sunday's game, recording five shots on goal. He played in a number of situations, starting the game on the left wing and also logging some minutes at center. Look for Laxdal to strategically manage his minutes on Tuesday night as the two-way forward will be needed at full strength should the Stars advance. The puck drops at 9:00 PM CDT. If you had to pick a player to finish a double overtime game, you probably wouldn't pick tonight's hero: rookie fourth liner Samuel Laberge. Ninety-seven minutes into Game 3, Laberge finished a quick play going the opposite way after Mike McKenna made one of his best saves of the night. McKenna was perfect, stopping all 44 shots he faced, after coming in to relieve Landon Bow in the second. It was a gargantuan effort and shows why he went to the Calder Cup Final last year with Syracuse. Tonight's was the longest game in team history at 97:38 and also the first time Texas had won a game that extended beyond a single overtime. Both previous 2OT games were road losses (2010 at Hamilton, 2011 at Milwaukee). The loss puts Ontario on the brink of elimination with Tuesday's Game 4. Ontario opened the scoring in the first period with two quick tallies. Matt Roy and Sean Walker each got their first of the playoffs to go up 2-0 halfway through the first. Walker's goal came off a screen in front of Landon Bow. Remi Elie answered with his first of the playoffs as well, assisted by Brian Flynn. It was a bit of redemption for the Elie, Flynn, Sheldon Dries line, who had taken the minus on each of the first two Reign goals. Coming out of the locker room, Dillon Heatherington headed to the box for hooking and former AHL Rookie of the Year Michael Mersch took just 11 seconds to cash in, making it 3-1. The second period was the Reign's worst throughout the season; they were outscored 59-66 in the frame. Texas jumped on the chance to recover. Justin Dowling scored on his own rebound thanks to double coverage on his linemate, Travis Morin, left him all alone. Ninety second later, Colin Markison tied the game and restarted the game for Texas. Two minutes later, Landon Bow's night was over as Mike Amadio collected a turnover off the stick of Remi Elie and rushed in alone for the go-ahead goal. Texas would finish the period down 4-3 with Mike McKenna playing the second half of the period. It was just the beginning of his night. Who else but Travis Morin knotted the score at four to make overtime possible. Justin Dowling made a backhand pass to Morin in the slot, who buried it. One overtime wasn't enough. 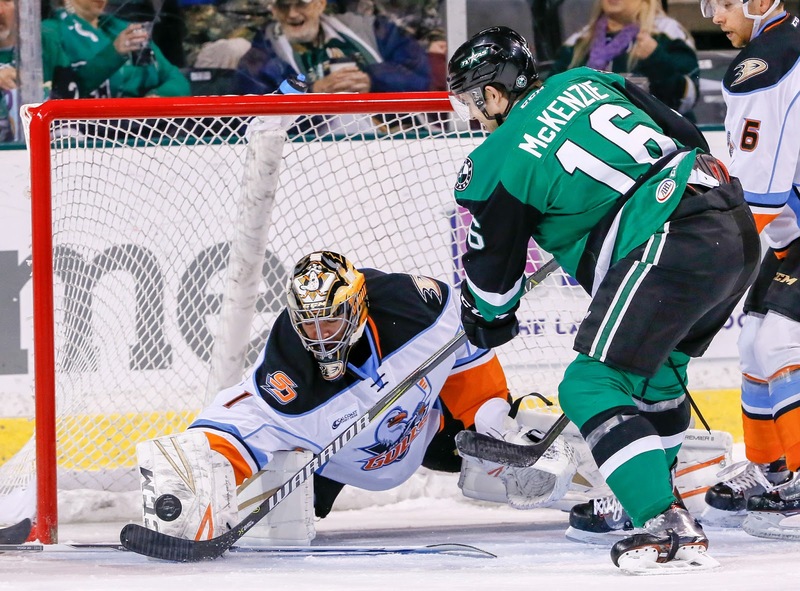 Mike McKenna was a warrior in overtime, stopping 17 shots in 1OT and 11 in 2OT. Each team had a power play goal in the game but neither team had a man advantage in OT. The Stars take their series lead into Tuesday night's possible elimination game at Ontario. 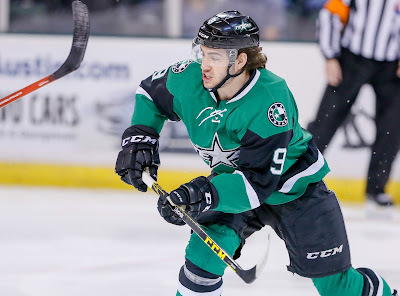 The puck drops at 9 PM CT.
After Friday's 5-1 loss, Curtis McKenzie best summed up Texas's desired attitude for tonight's game: "That’s the beauty of playoffs. When you leave the rink, it’s a new day. Obviously a little pissed off tonight but it’s off to the next game." Cal Petersen may have frustrated Texas with some highlight reel saves, but the Stars didn't do themselves may favors either. The power play got a late goal but didn't cash in when the tally could have turned the tide in the second period. There was a lack of finish throughout the game. Texas was getting its chances but had timings just a bit off, whether it was a missed pass reception, a pass to no one in general or a whiffed one-timer with an empty net. If the Stars come back strong today with a speed game that pushes the Ontario Reign back on their heels, it makes their lives that much easier. 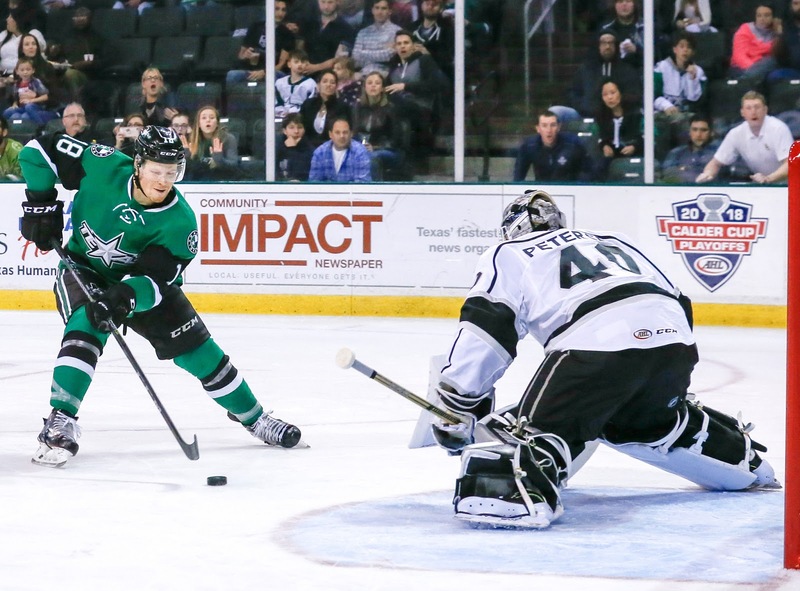 The Stars were in a deeper hole that they may have appeared to be after the Reign scored first on Friday. At 27-3-1-2, the Reign held the regular season's best record when scoring first. Scoring the first goal may be all Texas needs to dictate the terms of the game. Ontario was 9-22-3-1 when giving up the first goal. Texas may be without the services of Jason Dickinson, who got checked hard into the boards at the Texas bench and came off the ice holding his lower back. "Dickie’s got a lower body injury," said Laxdal. "He’s probably day-to-day. Hopefully we’ll see him on Sunday." 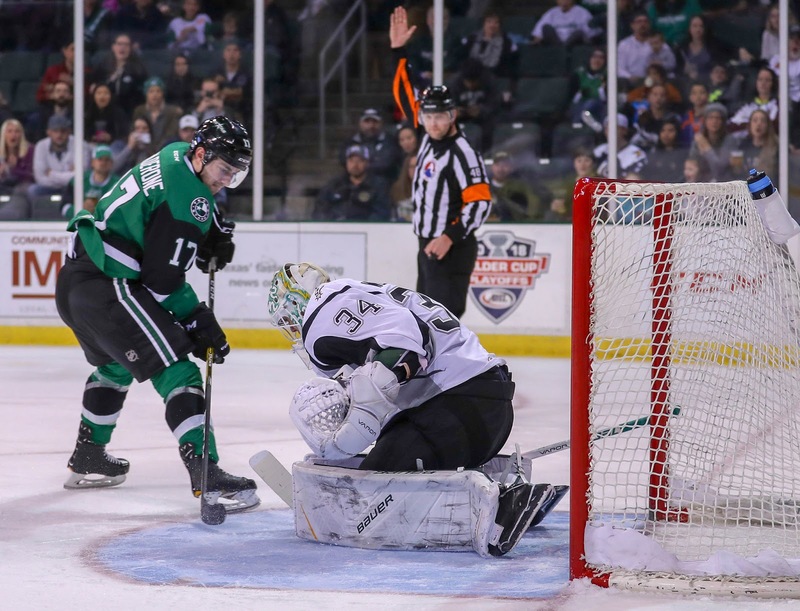 Missed opportunities were the bane of the Texas Stars on Friday night as they soundly beaten by the Ontario Reign 5-1. Rookie goaltender Cal Petersen 26 saves on 27 shots frustrated, stifled, and deflated the Stars at every turn. 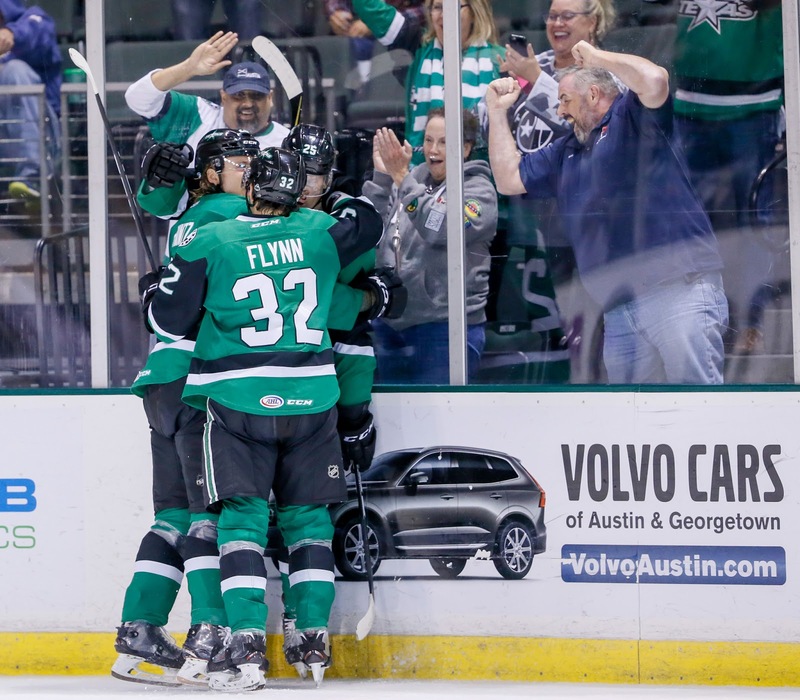 Stars forward Brian Flynn was the lone goal scorer, notching his second goal of the playoffs. Philippe Maillet scored twice for the Reign. The Stars only put up seven shots on goal in the first period but still managed to generate quality looks. They seemed about to break through on their second power play of the game at the thirteen minute marker but couldn’t get a bounce. At even strength, rookie forward Joel L’Esperance hammered the post with a snap shot off the rush that would’ve sent the crowd into a frenzy had it gone in. 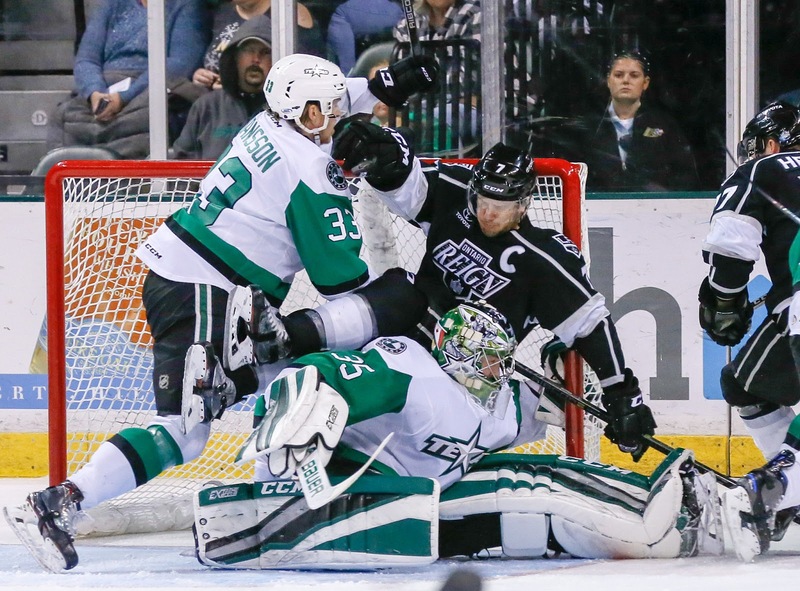 The Reign, however, did get the bounces, ending scoreless play on the first penalty called on the Stars. With four minutes left to play in the opening frame, Ontario center Philippe Maillet crashed the net and cashed in on the pass that trickled out from the end boards. In the regular season, the Reign were 27-3-1-2 when scoring the first goal, a bad sign going forward for the Stars. Four minutes into the second period Jason Dickinson and Sheldon Dries checked Oscar Fantenberg through a pane of glass that had to be replaced. The play seemed to get a decent result as the Stars were given a power play a couple of shifts later. Again, they got what they wanted, including a broken Ontario stick, but couldn’t finish as Brent Regner whiffed on a weak side one timer that surely would’ve beaten Petersen. On their sixth power play of the game, the Stars finally showed signs of life with Flynn’s goal, though it was too little too late. After Flynn finished off the set-up from Curtis McKenzie and Morin, the Stars gave it right back with Maillet scoring his second goal on the next shift with five minutes left of play. 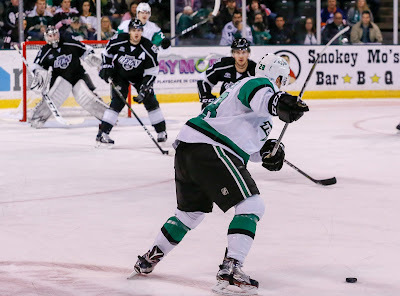 An empty netter from Justin Auger was the last bell that tolled on a frustrating night for the Stars’ offense. Shane Hanna was assigned to ECHL Idaho before tonight’s game. 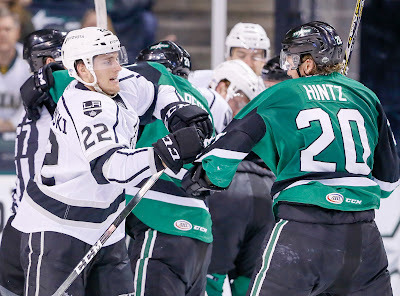 In the wake of a dramatic 4-3 overtime win over the Ontario Reign in game one, the Texas Stars had a pretty good idea of what to expect in the second game of the opening round of the AHL playoffs. "They’ll play the same way," said forward Brian Flynn after scoring the game winner. "They’ll play physical and hard and in our face. We gotta use our legs and play smart on the puck and manage it well. Hopefully we can get some more off the rush." 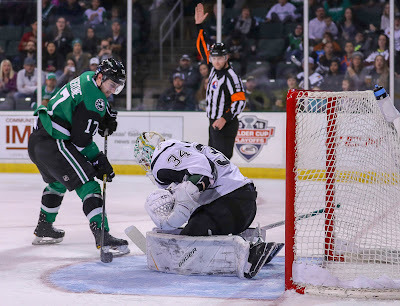 The Stars were able to withstand the onslaught of hard-hitting play and post-whistle activity from the Reign by refusing to get rattled, even though they didn't get one penalty called in their favor. Center Sheldon Dries, who scored in Thursday's opening frame, knows the Stars will have to stay even keeled." "Personally I gotta stay out of the box. It’s a chippy game. They want to play that way. We gotta stay out of the stuff and play our style. I expect them to have a heavy push. We just gotta be ready for that." If the Stars want to take game two, they'll need another solid night from Mike McKenna, who turned in 38 saves on 41 shots on Thursday. 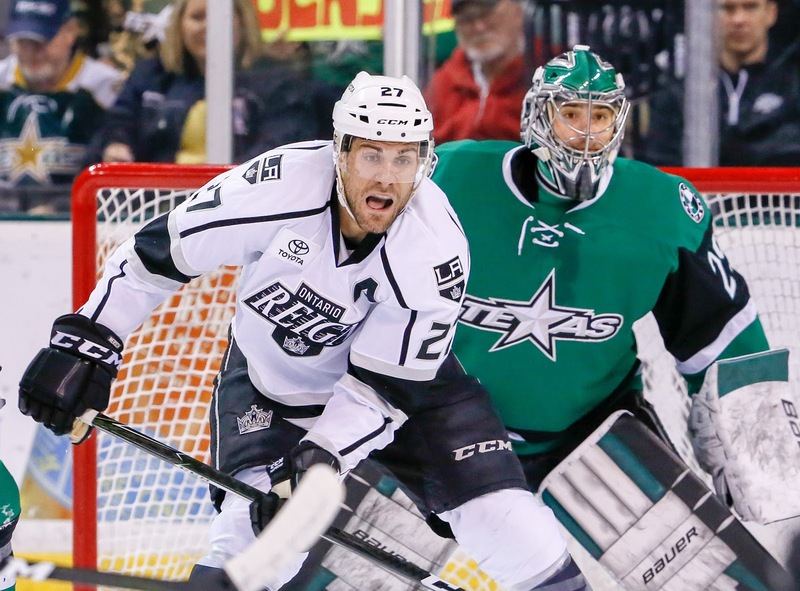 Although every AHL team wants to get pucks to the net, Dries noted that the Reign seem to do it in bunches. 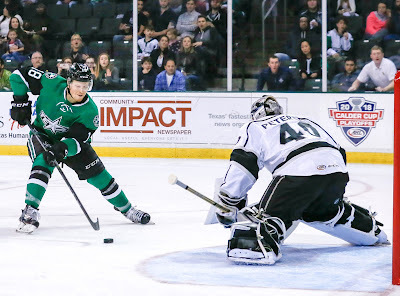 Coach Derek Laxdal made a few strategic tweaks to the lines in the middle of game one that seemed to turn the tide in the Stars' favor. Look for him to stick with what worked for him on Friday. "I liked our lineup but I didn’t like our lines in the game," he said. "I made the change [in the third]. It worked tonight, and we’ll see what happens tomorrow night." Flynn expanded on how the Stars can take control of the series. "We’re not going to beat them by playing that big, heavy game right at them. We’re going to use our legs--that’s our biggest asset as a team, and scoring in transition. That’s when we’re successful." The puck drops on Friday at 7:00 PM CDT. Read more about Media Day thoughts here. Read more about Brian Flynn's impact on the roster here. It was a physical game, as promised, tonight in Cedar Park, and as you would expect, these two teams went to overtime. Texas emerged victorious 4-3 just two minutes into the overtime period off a goal from the quiet, consistent Brian Flynn. 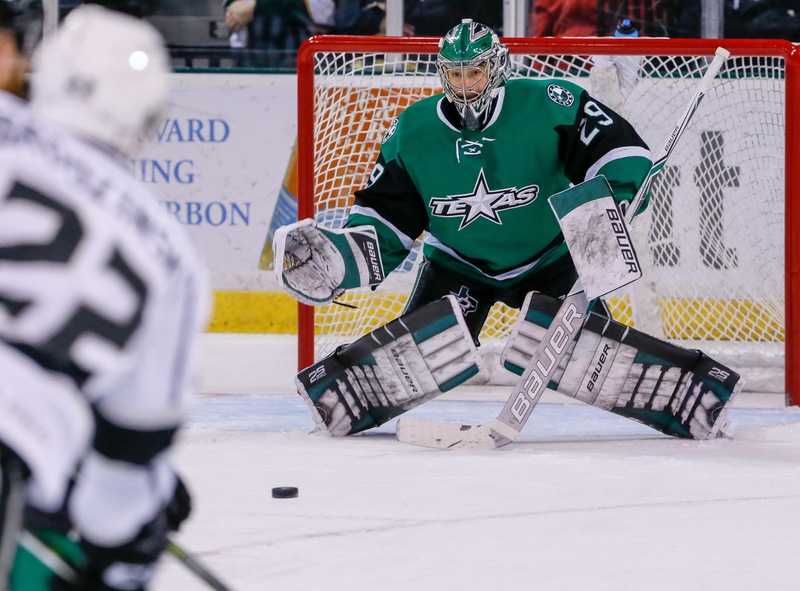 It was the first postseason overtime victory for the Texas Stars since Patrik Nemeth went top shelf for the Calder Cup clincher. 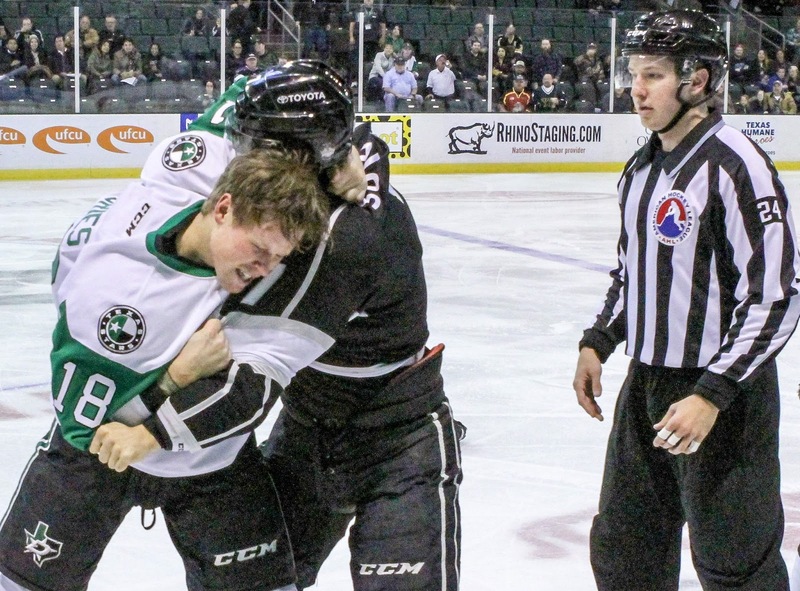 The physicality of the Reign was on full display, especially in the second period where it put Texas on their heels a bit. Speed won the day though. The Stars opened the scoring with a great effort from their bottom six. Dries scored the first goal of the playoffs, cashing in on a pass from Colin Markison behind the net. Texas would hold that lead to the end of the frame, where they were outshot 12-7 but looked good overall. Ontario ramped up the physical play in the second period. Texas got caught up in it a bit, engaging in scrums behind plays and at the net more than in the first. Justin Auger broke the scoreless tie with one of his own men down on the ice in the zone. Austin Wagner was clipped on the play but did return to play later. With the chaos of traffic, Roy's shot found twine off the tip from Auger. A few minutes later, Colin Markison saw his equipment betray him to deny a sure goal. Texas had Markison all alone on the backside of the net when his stick snapped in two on the shot. The tie remained until a few more minutes later. Mike Amadio drew double coverage in the corner but managed to separate Andrew Bodnarchuk from the puck. A quick pass to an unguarded Jonny Brodzinski in the slot put the Stars down by one. With forty minutes in the books, Texas trailed 2-1. The Stars found themselves behind in more than a few contests this season and played the second-most OT games in the league despite that. Denis Gurianov had a chance to score in the second period and chose an ill-advised drop pass instead. In the third, he made no mistake. On a 2-on-1 with Roope Hintz, the Russian forward collected a smooth cross-crease pass from the Finn and deposited it in a yawning net for the 2-2 tie. The crowd was back into the game with the goal. Texas went up 3-2 on Travis Morin’s 17th career postseason goal, the most in franchise history. Good pressure from his reconfigured line with Curtis McKenzie and Justin Dowling led to the big goal and set up a final minute showdown. The AHL’s best compensated forward, Matt Moulson, made no mistake with the 6-on-5 chance for Ontario and sent the game to overtime. In the extra frame, it didn’t take long. Just 1:55 in, Flynn got the winner. Texas will face Ontario tomorrow night for Game 2 in Cedar Park. Welcome back to the playoffs. After a year out, the Stars return to the postseason with home ice advantage in the first round. Ontario is a tough customer in this matchup, and you would expect Texas to adjust their line-up some to compensate. Much was made of the heavy style that Ontario plays at Media Day so it only makes sense that players like Sam Laberge would check in. 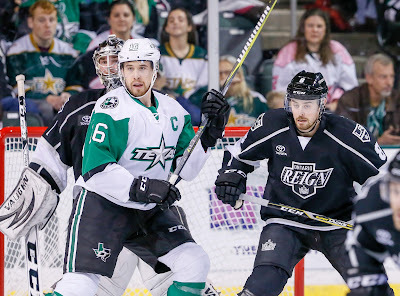 Otherwise, Texas can't try to change their game too much to match up against the Reign. They'll concentrate on speed and making crisp passes. As Travis Morin said on Tuesday, making those crisp passes and making a man miss with speed with back off the Reign defenders and give them pause before finishing a check and being out of position. The Stars will want to establish this early to avoid too many ice packs postgame. The Stars have been a comeback team this season, which gives everyone in the room confidence that they can claw back to even if they need it. This team played the second most OT games in the league this season with 28 total. Knowing they can rally from two down in the third is something that keeps everyone level-headed in the final frame when that happens. Of course, the ideal situation is to not have that happen. The road has gotten harder for the Stars since Tuesday though. With last night's elimination of the Kings in the NHL playoffs, Ontario gains four players at the top end of their lineup: Michael Amadio, Jonny Brodzinski, Oscar Fantenberg and Paul LaDue. The four combine for an average of 1.05 goals per game in the AHL. The most lethal is Mike Amadio. He's better than a point per game player (35 in 32) and had a 17-game point streak from December to January, the longest in the AHL this year. Texas is concentrating on that first shift of the first period, not thinking about getting out of round 1. But that doesn't mean it's not in the back of their heads. One unanswered question for that first shift is who will be in net. Mike McKenna and Landon Bow were referred to as "1A and 1B" by Coach Laxdal on Tuesday. Morning skate today should bring clarity. 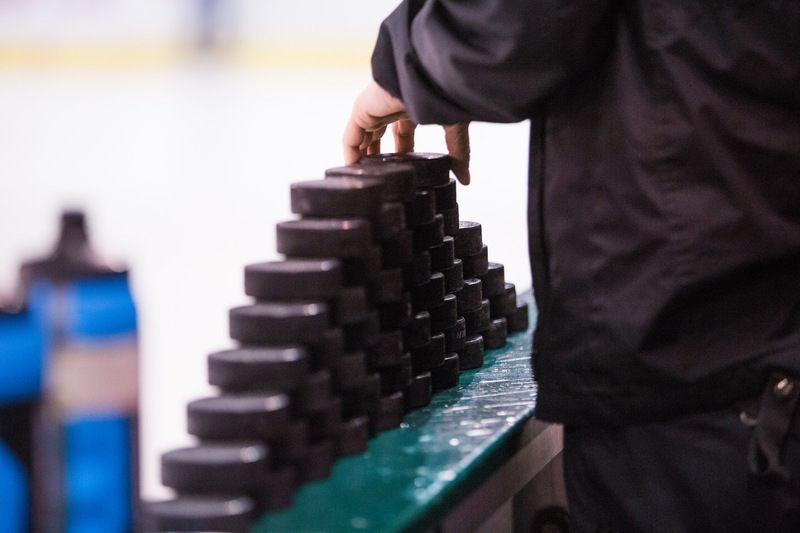 With the Texas Stars putting together a successful regular season and earning the second seed in the Pacific division, the list of notable contributors on the team has some familiar names to the fanbase. 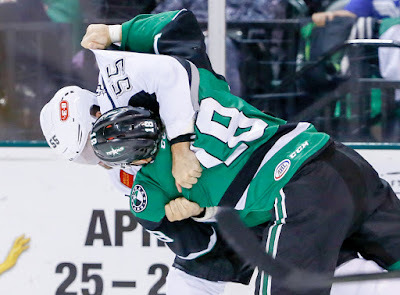 The likes of Travis Morin and Curtis McKenzie give the Stars some AHL star power punch to go with others such as Jason Dickinson and Remi Elie, who were recently reassigned from Dallas to help with a potentially deep playoff run. One name that gets lost in the shuffle, perhaps by his own design, is Brian Flynn. Flynn signed a one-year contract with the Dallas Stars as a depth forward prior to the start of the 2017-18 season after spending the previous five seasons with the Montreal Canadiens and Buffalo Sabres. The former captain at the University of Maine and native Bostonian quietly compiled 47 points in 51 AHL games this season, third in team scoring. Though he eschews speaking openly about his resume and previous accomplishments, his teammates and coaches speak glowingly about him and believe he will be key in every area when the Ontario Reign come to town on Thursday. Such experience has given Flynn the tools to be a player who sees ice time in all situations and makes the right plays to help win games. “He really doesn’t have a panic point in the game, and he doesn’t panic with the puck,” said Laxdal. Though his skill with the puck is probably his best asset, Flynn would rather discuss his penchant for playing the game the right way while avoiding unnecessary risk-taking. In general, this seems to be Flynn’s overall approach to life and leadership. When asked about how his play measured up to his own expectations during the regular season, he spent little time talking about himself and gave ample room for discussing his teammates. 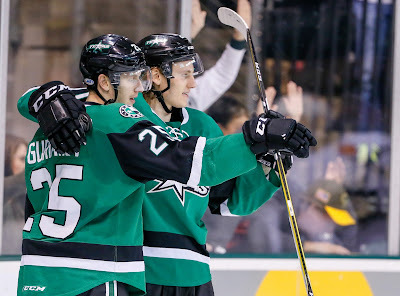 In a lot of ways, the under-the-radar, but successful, Stars season has mirrored the contributions of Flynn. If they are going to make a run, they’ll need Flynn to keep doing what he’s been doing, but you won’t catch him talking about it. When the puck drops on Thursday, watch for him to avoid notoriety and incessantly pursue winning. The Texas Stars seem loose and ready for their first round matchup with the Ontario Reign, kicking off Thursday night at home. The players were jovial on the ice and seemed relaxed as they talked with the assembled media about the task ahead of them. Coach Derek Laxdal, Travis Morin and Curtis McKenzie spoke in the scrum, but 100 Degree Hockey grabbed a 1-on-1 with Brian Flynn that will roll out tomorrow. Here are some high level topics from the day. Texas has made the playoffs in 3 of 4 years since the Calder Cup but hasn't yet emerged from the first round. 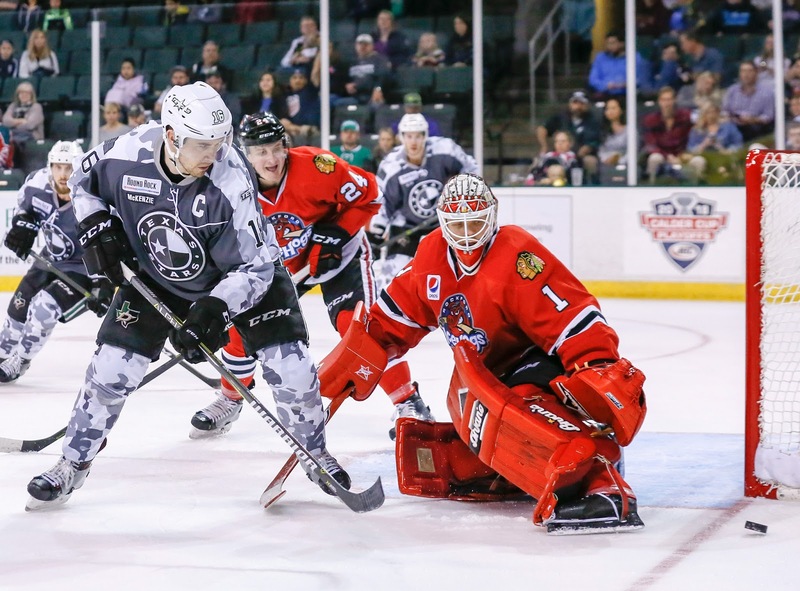 Rockford and San Diego knocked off Texas in 2015 and 2016, respectively. It is definitely something that Texas has on its collective mind, but the team is very focused on game 1. "We’re focused on this year," said Laxdal. "Our goal is get that first win Thursday night and win the series. We’re not focused on playing a 'championship' game right now. The word 'championship' isn’t even in our vocabulary right now. Our vocabulary right now is Game 1. The focus is on Game 1, getting a win and getting up 1-0 in the series. If you don’t get that, you won’t talk about the other things, plain and simple." Travis Morin contrasted that, noting game 1 is the first step, "It’s been our goal all year to make it to the playoffs and now we obviously want to go as far as we can. We have to use [previous years] as motivation. Everyone in there should be motivated to play as hard as we can because we want to win a championship, not just win one round." The Reign have always been a physical team. Texas feels that plays to their advantage for multiple reasons. "I love it," said McKenzie. "Every game, they came physically. We know what to expect. They’re a big team, and they like to throw the weight around. I’m just going to try to get myself to the net and create what I can." Morin noted that the team's speed will prevail if they can be crisp in their passing, "We’re a speed team, and if you can take their overagressiveness to finish checks and make them miss and use your speed to get around them, we’ve got quite a few guys who can fly on the ice. You start backing guys off and they get tentative about stepping up, and it can open up the ice." Coach Laxdal has been coaching against Mike Stothers for years, both in the AHL and the WHL, and noted that this is simply the way his teams play hockey. "Ontario’s a big heavy team and I can tell you exactly how they’re going to play. They’re going to be physical, finish every hit and try to frustrate you. We have to have unbelievable composure and be disciplined We need to play with speed and be physical. If they’re going to take penalties, we have to strike on the power play. They’re going to try everything. They’re going to try to slow the play down, they’re going to scrum after whistles and stick guys. We have to play through that and have thick skin. That’s the way Mike Stothers coaches. We know what we’re going to get and we’re not going to be surprised." With a mix of ATOs, rookies and vets, Texas has a massive number of championship players on the roster but also some green skaters as well. Travis Morin, Justin Dowling and Curtis McKenzie were all part of the Calder Cup team. Mike McKenna and Greg Rallo have made finals trips. Andrew Bodnarchuk won a Cup with Manchester, and Dillon Heatherington got one with Cleveland (Michael Paliotta didn't play in a ton of games in the playoffs, but also won in Cleveland that year). "The guys who have been here, if anyone needs to ask questions about what to expect, we have a lot of guys in there," said Morin. "It’s experience more to keep yourself calm where you might get panicky." Coach Laxdal has Mike McKenna, who went to the finals last year in Syrcause, and rookie Landon Bow to choose from in net. He had this to say about the choice, "We’re pretty confident saying we have a 1a and a 1b. We’ll name our goaltender tomorrow. We could start either goaltender. That’s a great thing to have in the playoffs. McKenna had a great second half of the season, and Bow did a great job when McKenna was in Dallas. The goaltending is a strong point of both teams." Felt like I should also throw in this Curtis McKenzie quote about playing in the playoffs as a rookie, but it seems like good life advice as well if you generalize. "Every shift you have to be ready to make a difference. It’s the little things in series that add up to the big things. 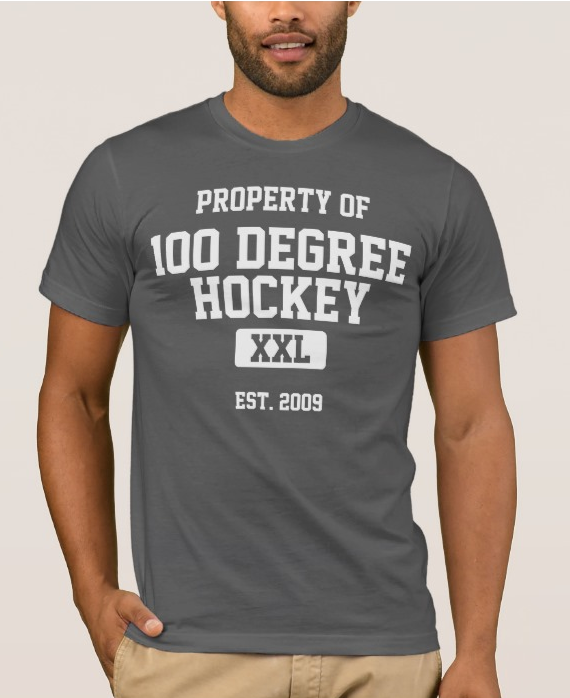 It could be a faceoff, getting a puck deep or a shot on goal. It could change the outcome of a whole series. You have to be ready for that. If you get behind, you might feel like it’s over. If you get up, it might feel like you already won it. You just have to maintain a level presence." The series starts Thursday. Watch for our Brian Flynn feature tomorrow. In the final game of the regular season, Texas had a predictable storyline. For the team-record 28th time this year, it took more than 60 minutes to get to a final decision. That final was a 4-3 shootout loss that included a come-from-behind third period effort. "Thank God there's no OT 3-on-3 or shootouts in the playoffs," exclaimed Coach Laxdal after the contest. 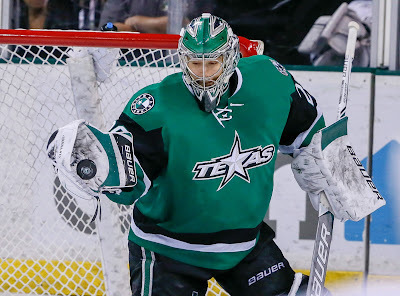 The Stars wanted to have a lineup closer to their playoff roster in the game tonight and rested some veterans last night to make that happen. "We rested a bunch of guys last night. I thought they would have a bunch of energy but sometimes that backfires on you. We have to be ready to respond on Thursday night." ATO forward Tony Calderone scored his first professional goal on the night, tying the game at two in the second period. "It was great," he commented. "I know I had a few chances in the early games. To bury on my chance, it was awesome." Texas tried a number of line combinations in the third period, down by a goal and looking for energy. "I mixed it up in the third to create some energy. There's 29 guys in there and at some point someone has to step up and take this team by the horns. Any given night someone can be the hero." The Stars got that goal from Brian Flynn with the goalie pulled, taking them to overtime and a shootout to close the season with a 38-24-8-6 record. San Antonio jumped out to the early lead with the first AHL goal for Taylor Richart, playing in just his second AHL game. Before the end of the frame, Adam Werner's puckhandling got him in trouble as Sheldon Dries wrapped around on the goalie, who couldn't make it back to the far post in time to prevent the tying goal from Dries. The Rampage struck again early in the second with Reid Petryk going five hole on Landon Bow. The aforementioned Calderone stepped up on the power play in the 6th minute to wrist one past Werner for the 2-2 tie. It was a quick play by Calderone, which is something he admits he'll have to work on in the league. "Everything is quicker and everyone's better. You don't have as much time with the puck. You have to make the play quick." Zach Sanford matched the power play goal with one of his own. Just a few seconds after missing on a wide open net, Sanford earned redemption with his fourth of the year to go up 3-2. That would be the score after forty minutes. Brian Flynn notched his 18th goal of the season on the 6-on-5 advantage with 71 seconds left in the third to push the game to OT. Despite a Texas power play in the extra frame, neither team could break through. A goalie-centric shootout ensued and Klim Kostin scored the winning goal in the fourth round. Landon Bow stopped 20 of 23 in the loss. Adam Werner stopped 36 of 39 in the win. The Stars now rest up to start the playoffs on Thursday at home against Ontario. Less than a week after clinching the playoffs, Texas could be setting itself up for home ice advantage in the first round if everything goes their way in the next few days. Thanks to last night's win and an Ontario loss, it's possible. In order to pass Ontario for the second seed, the Stars will need to grab all four points from the weekend set with San Antonio, giving them a .599 points percentage to end the season. Ontario can't beat that unless they pick up three or four points in their final two games of the year. Those two contests are against Stockton at home and in Bakersfield. Ontario has dominated Stockton all year (6-1) but struggled against Bakersfield (3-4-1-1). The Stars themselves have had mixed results against the Rampage, so their weekend task is no cakewalk either. Whether Texas plays Tucson or Ontario in round one is a mixed bag as far as the season series. Each has yielded only one win for Texas (Tucson: 1-1-2, Ontario 1-1-1-1). However, if you're going to play Ontario, you'd want home ice when you do. There is also a very slight chance that Texas plays San Diego in round one, but that's pretty unlikely. The Stars and Gulls would both need to win out, and Ontario would have to lose both games. We'll know everything we need to know by Saturday evening for sure.